I'm doing a pick-up in Leiden next Monday - I have arranged to meet up with a few others in the AMAE team and we wondered if there were any other Leiden/Amsterdam-based Dyxumers who might be free at sometime on Monday afternoon...? Very tempting but all work and no play for me. That's a pity Paul and Fred, but if you want you can come after work and join for dinner and/or evening shooting. But if you have to work again the next morning it might be a bit too much. I've been in Leiden quite a bit the last 2-3 years while my father lived there. A proposed program could be that after we meet at the IBIS we walk to the old city center via the "Morspoort" (scenic monument) and in the center go to the top floor of the Hudson Bay department store. They have a balcony with a great view over over the old town there and there is a LaPlace there for coffee/cakes . 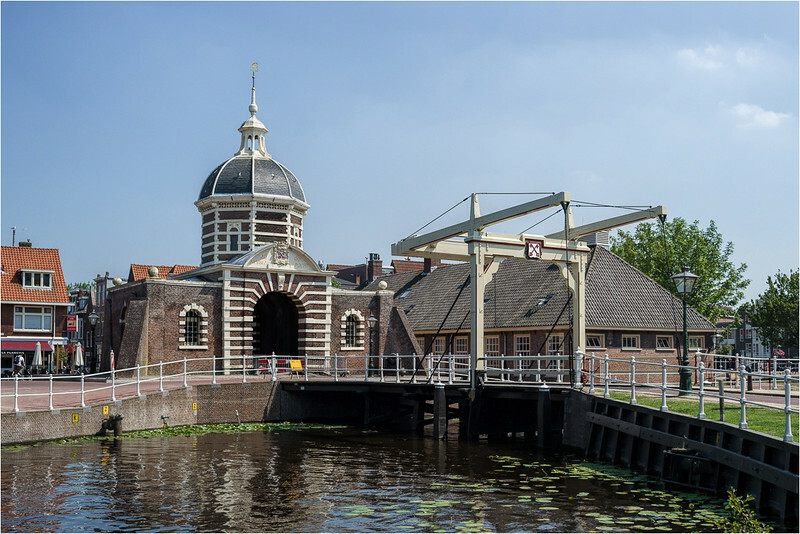 After that other interesting places closeby could be the "Burcht" (an old Bastion in the middle of the city center) and the "Hooglandse Kerk" which is beautifully restored. Depending on time there is also plenty to see and photograph in the old city around the Rapenburg/Pieterskerkhof etc. but I don't think one afternoon is enough to see it all. If the weather holds up maybe some evening photography around the many canals and rivers through town might give some good results. The above is just one of the many possibilities and other ideas and requests are obviously welcome. We can discuss further when we see each-other there tomorrow. @PieterB, are you planning to come? Pieter, Morspoort is in scaffolds due to renovation I noticed last week. Not that it stands in the way of a nice Dyxum meet. Enjoy!